Dr. Steven M. Drucker is a principal researcher in the Visualization and Interaction group at Microsoft Research focusing on human computer interaction for dealing with large amounts of information. He is also an affiliate professor at the University of Washington Computer Science and Engineering Department. Before coming to Microsoft, he received his Ph.D. from the Computer Graphics and Animation Group at the MIT Media Lab in May 1994, a M.S from the AI Lab at MIT in 1989, and an ScB in Neurosciences from Brown University in 1984. He has demonstrated his work on stage with Bill Gates at the Consumer Electronics Show (CES); shipped software on the web for gathering and acting on information collected on the web; was written up in the New York Times; filed over 120 patents; and published papers on technologies as diverse as exploratory search, information visualization, multi-user environments, online social interaction, hypermedia research, human and robot perceptual capabilities, robot learning, parallel computer graphics, spectator oriented gaming, and human interfaces for camera control. Siddharth Prakash works as a research program manager with Microsoft Research India. In his current role, he works with external collaborators, research organizations, and academia to improve the state of the art in computer science and build strong research communities. He is very interested in research in education and is currently working on a couple of projects in this area. Prior to joining Microsoft Research, Siddharth worked as an academic developer evangelist with Microsoft India. 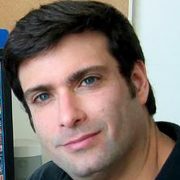 Miguel Nussbaum is a professor at the Computer Science Department of the School of Engineering of Pontificia Universidad Católica de Chile. In 2011 he was honored with the Chilean award for innovation in the Education category, and he has been a member of Chile’s Agency for Quality in Education since 2012. He has published more than 70 articles in ISI journals, received over 2,600 citations for his research papers, and successfully guided 17 students to their doctorates as dissertation advisor. His work in instructional design, which integrates the use of technology, is focused on how to change teaching practices in the classroom to make children the protagonists of their learning experience. His scientific developments have been implemented in schools in Argentina, Brazil, Chile, Colombia, Costa Rica, the United States, Great Britain, Guatemala, India, Sweden, and the UK, and have received the support of UNESCO. He also studies the use of educational games and multimedia in the classroom, and school effectiveness.